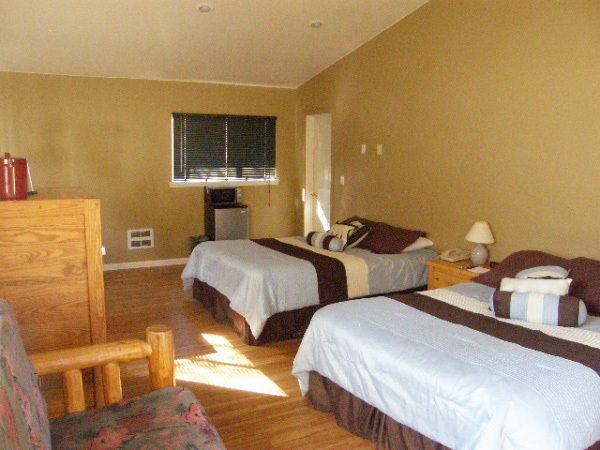 Refrigerator & Microwave. 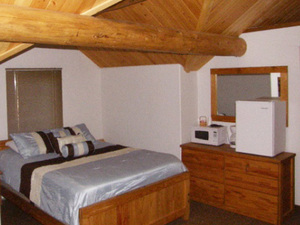 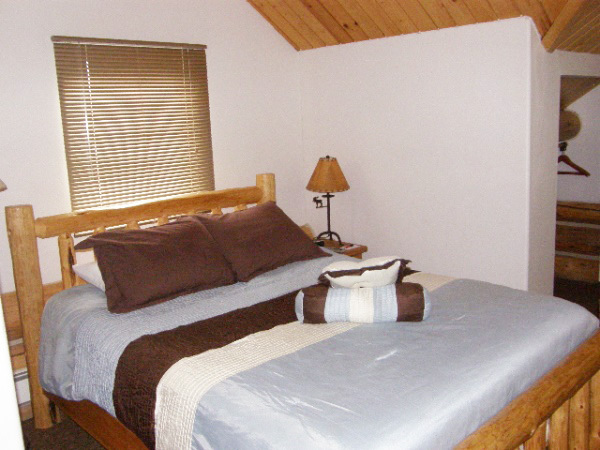 This is a spacious room within the log lodge. There is a queen bed as well as a twin sleeper sofa for the guests use. This room is spacious enough to also fit a rollaway, accommodating up to four adults. 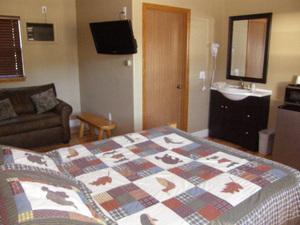 An ADA room with for those needing more room in mind. 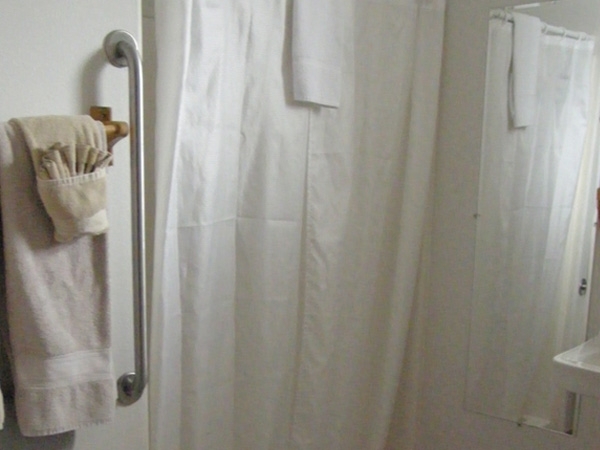 One queen bed located at ground level, large ADA bathroom and shower. Refrigerator & Microwave. 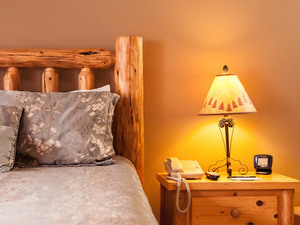 With a queen bed and a twin bed, this room sleeps three adults or a couple with children comfortably. 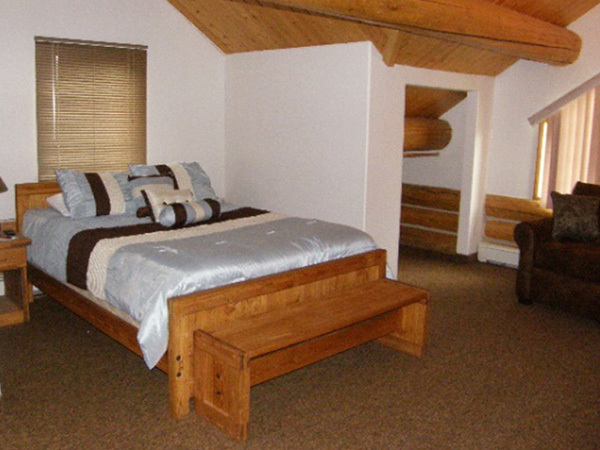 Set apart from the main lodge, this room provides a bit more privacy. With a King size bed with Jacuzzi, is popular with travelers looking to unwind after a day of driving, business clients after work, and couples on a getaway trip.